Now I already made it clear that their was no buzz around this T.O.S. album and sure enough the numbers confirm that. Billboards places G-Unit's T.O.S. album first week sales at 102,000, which would have been great for any other artist but when your 50 Cent someone that basses his whole career on having big numbers this is not a good look. 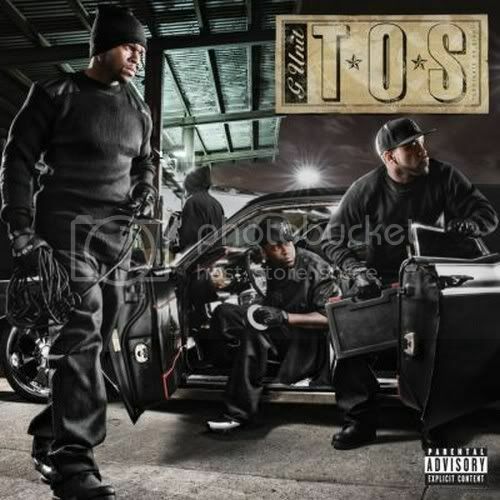 G-Unit's sophomore set, “T.O.S. 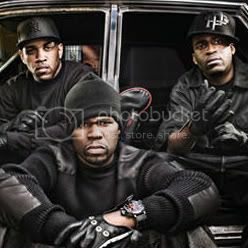 (Terminate on Sight)” (G-Unit/Interscope) debuts at No. 4 with 102,000. The crew's 2003's debut album, “Beg For Mercy,” started at No. 1 with 377,000. I can already see Young Buck, The Game and Fat Joe running to the studio right now to launch some missiles at the Unit's poor record sales. Me being a G-Unit fan I personally think the album should have been better and 50 Cent should have involved more in the promotional process of the album instead of being promoting a movie that will not be in theaters months from now. Truth be told the Return Of The Body Snatchers and 50 Cent and Mr. Cee mixtapes were actually more enjoyable than the T.O.S album (still bumping the 50 and Mr. Cee joint). The new G-Unit has become less about the music and more about the drama. If 50 Cent wants to reclaim his thrown as the king of the charts he will have to return to that original G-Unit energy that his fans couldn't get enough of. Without that I don't see 50 Cent's new album selling a million his first week.